Situated across a collection of more than a hundred islands, the city of Venice has long been associated with art, culture and romance and is an enchanting place for lovers to take a break. 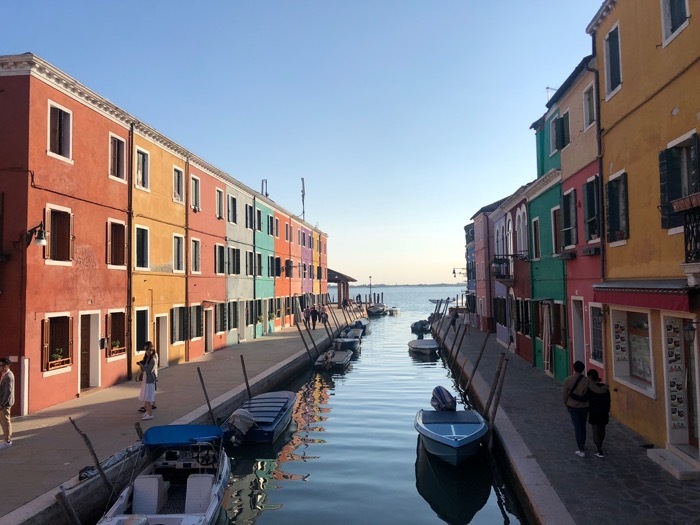 Although there are numerous attractions as well as hotels and restaurants to check out while spending time in Venice, here is a selection of the best. Located in the luxurious Bauer hotel, De Pisis restaurant is the perfect place for couples and small groups to dine in style. The terrace dining area offers diners stunning views of the Grand Canal and many of the city’s other iconic attractions and is sure to set the right mood for what promises to be an experience to remember. People who want to treat themselves to a true taste of gourmet Italian cuisine can choose the four course or six course tasting menu, which includes many of the dishes that De Pisis is famous for such as sweet and sour red mullet served with white blown polenta, potato ravioli with goat cheese, turnip tops and black truffles and pineapple and vanilla meringue served with gingerbread ice cream. 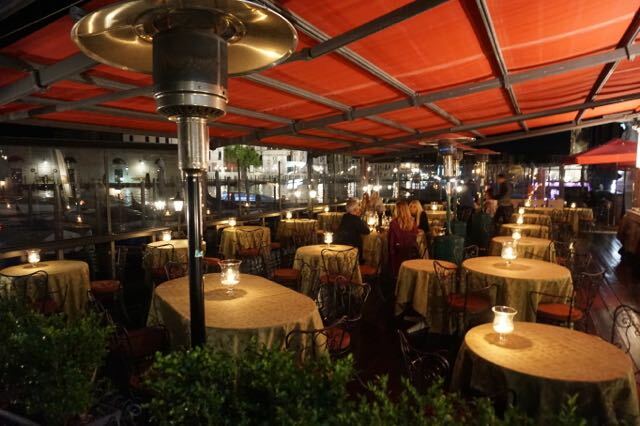 The Club del Doge is the perfect place to see and be seen and is often the haunt of musicians and actors while they are spending time in Venice. The sophisticated setting gently speaks of Italian class and there are plenty of comfortable places for diners to unwind while waiting for their table. 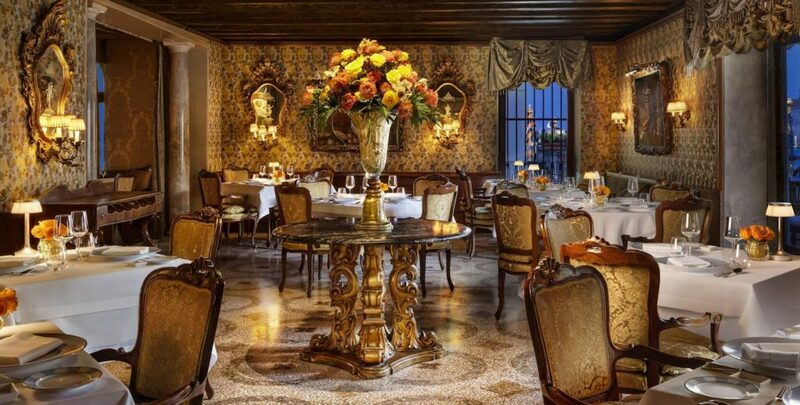 The menu at Club del Doge has been created by Executive Chef Daniele Turco, who puts his own unique spin on traditional Venetian recipes. People who want the chance to sample some light bites that will truly highlight the quality of the ingredients and the talent of the chef should try the Venetian cicchetti, which is similar to tapas and includes treats such as baby scallop gratin served with a special bean salad, white Bianco Perla polenta and spider crab served with coral salad. 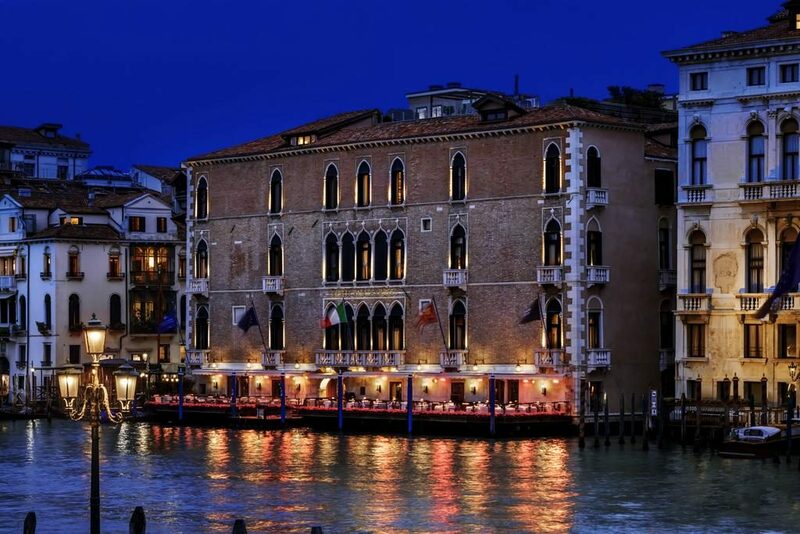 Set in the Ca’ Sagredo hotel, L’Alcova treats diners to traditional Venetian cuisine as well as magnificent views of the Grand Canal and Rialto Market. Wine lovers are sure to be in their element as the select food menu is paired with an extensive wine list that features vintages from many Italian regions. Chef Damiano Bassano blends traditional Italian flavours with plenty of flare and unique touches and dishes that are infused with plenty of creativity, while diners will definitely want to make sure that they save room for dessert as the sweet treats are sure t surprise and delight. 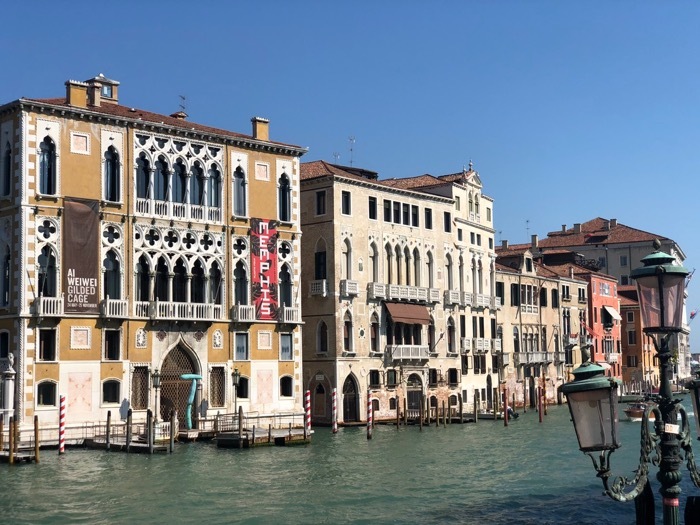 People who have an interest in local history and culture should make sure that they allow plenty of time to check out the Peggy Guggenheim Museum, which can be found in the Palazzo Venier dei Leoni just to the east of the Accademia Bridge and on the southern side of the Grand Canal. 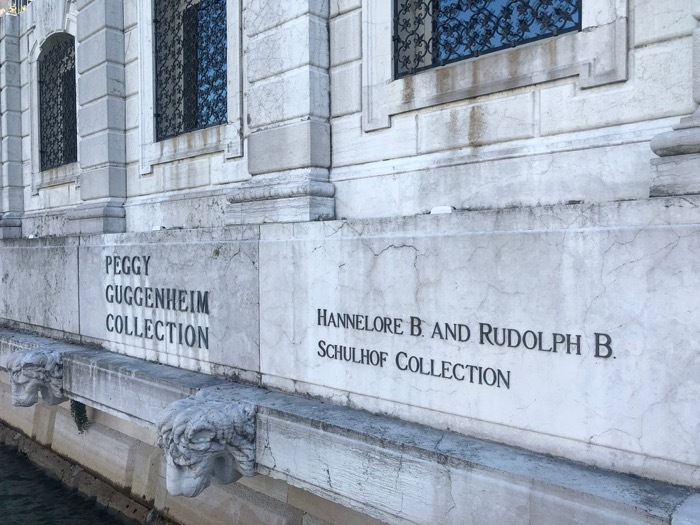 The Peggy Guggenheim Museum boasts an extensive collection of modern art that was collected over several decades by Peggy Guggenheim. 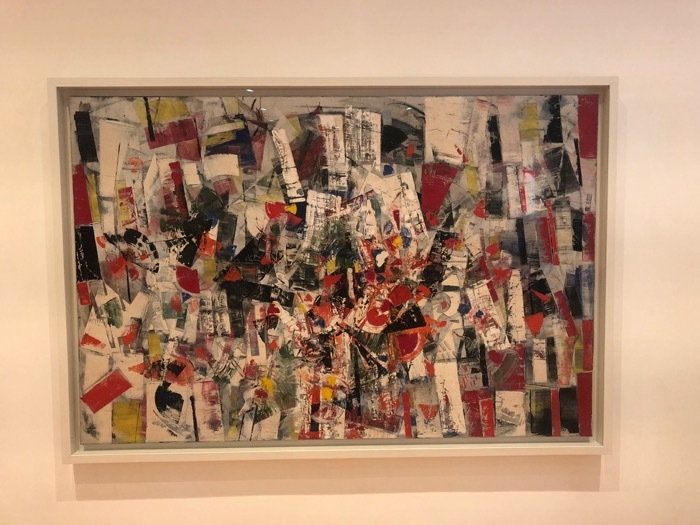 One of the most impressive areas of the museum is the large sculpture garden, while visitors will be able to find works by a large number of world famous artists such as Picasso, Dali Tanguy, Duchamp, Kandinsky, Pollock and Mondrian. 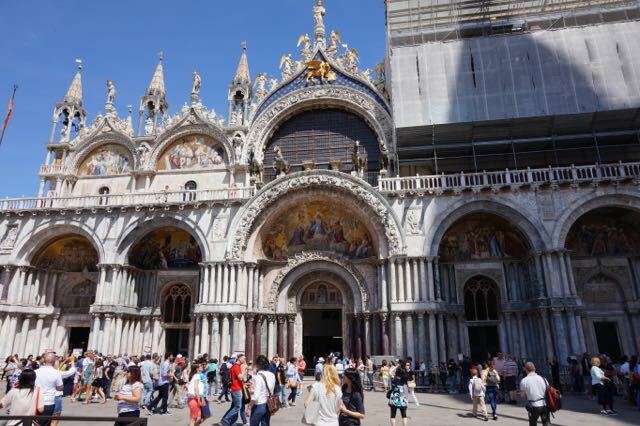 Visitors who only have a short time to walk around Venice will want to make sure that they pay a visit St Mark’s Square, which is home to a St Mark’s Basilica and Doges’ Palace. 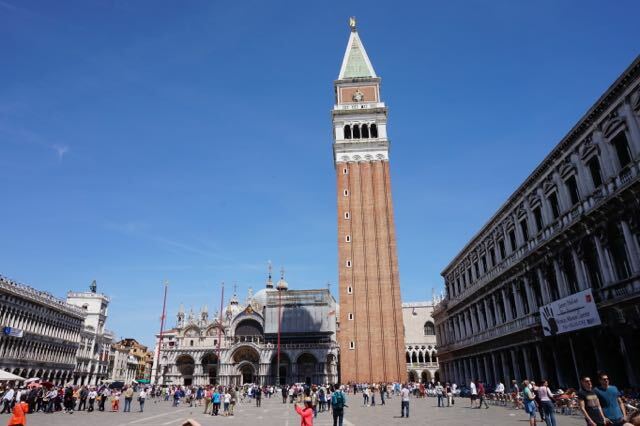 St Mark’s Square is at the centre of Venice and a major highlight, with the richly adorned St Mark Basilica at one end and the nearby Doges’ Palace and 15th century tower providing amazing views over the square and canals below. The Basilica is one of the world’s most spectacular churches with its imposing dome and famous bronze horses. Doges Palace boasts a magnificent throne room as well as a golden staircase and visitors can make their way down to the world famous the Bridge of Sighs, which leads the way to the prison where Casanova was incarcerated. This charming town is located on the edge of Venice and is famous for its fine lace making traditions. 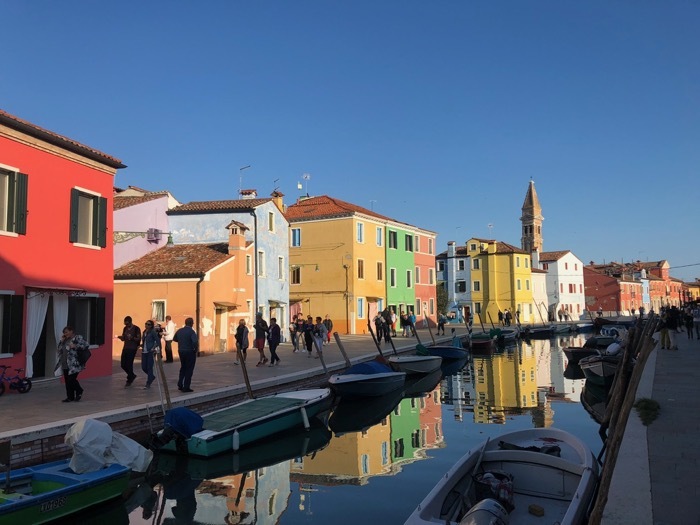 Burano is situated on its own tiny island and visitors can reach the island by taking a ferry, which is an enchanting experience. A number of workshops can still be found on the island where visitors can watch the traditional lace making process. 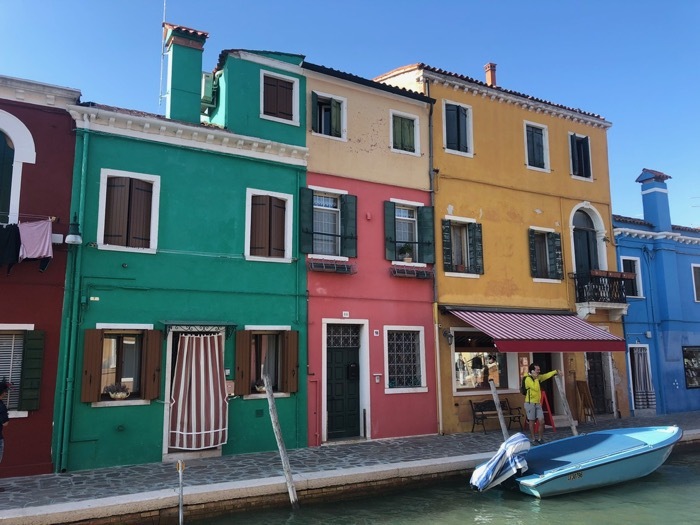 Visitors will want to make sure that they take the opportunity to purchase some traditional lace from Burano before heading back to the heart of the city as these lace products make great souvenirs as well as gifts from friends and family members. Popularly considered ‘the most beautiful street in the city’, the Grand Canal provides visitors with the chance to see some of the finest and most extravagant architecture that the city has to offer. An experience that should not be missed is taking a boat trip along this scenic stretch of the city’s waterways and revel in the sights it yields. Day trips here are good for catching the finer details, but night-trips capture a romantic ambience and give an entirely different perspective on the city’s buildings. For more ideas about Venice read our posting 30 images of Venice that will make you want to visit! This luxurious residence is ideal for groups who are spending time in Venice and is sure to make guests feel like royalty. The establishment is located in a former noble residence and graces the edge of the Grand Canal with prominent attractions such as Fenice Opera House and St. Mark’s Square. Each of the guest rooms is extremely lavish and has been decorated with a fine collection of chandeliers and original antiques such as Murana wall lamps that date all the way back to the 18th century, while guests receive a first rate service that is sure to make sure that their stay will be very memorable. Boasting plenty of Venetian style, this luxurious hotel originally opened its doors to the public back in 1880. The style of the hotel is extremely opulent and indulgent, while the Bauer occupies one of the best locations in the whole of the city as it can be found just a few minutes away from the busting St Marks Square as well as the luxury shopping quarter. Guests can choose between the BAUER L’HOTEL which is a five-star hotel that has been created in the art-deco style with a distinctive contemporary look and feel, and the celebrated BAUER Il PALAZZO, which is an opulent boutique hotel that remains true to the 18th-century identity. The Hotel Danieli is an acclaimed Luxury Collection Hotel and is the first word in Venetian style and elegance excellence. 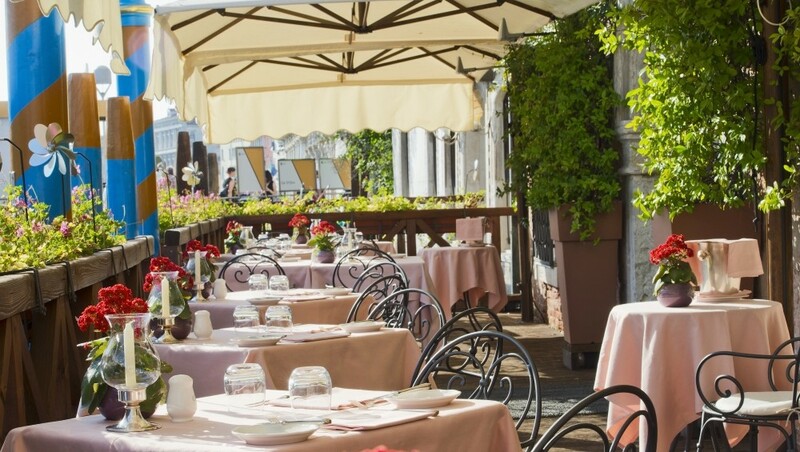 The hotel can be found on the edge of the Riva deli Sciavoni and commands an enchanting position overlooking Venice Lagoon. Guests will find themselves just a few minutes’ walk from the Bridge of Sighs as well as the pretty Piazza San Marco. 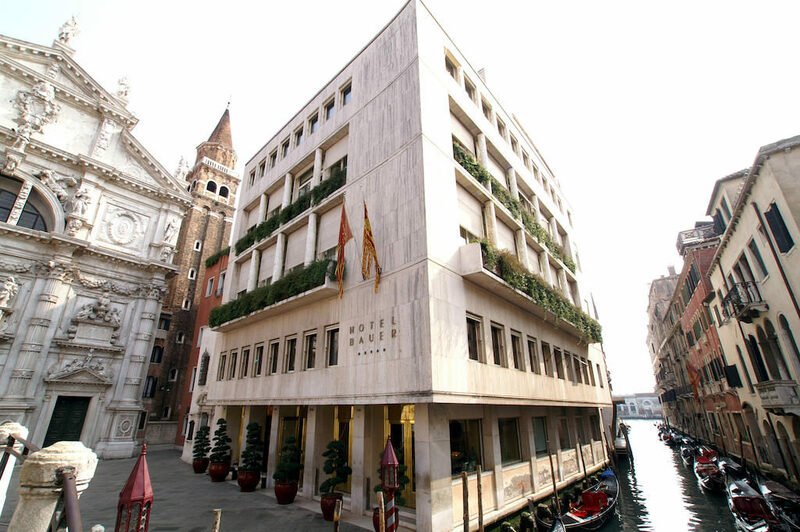 The Hotel Danieli comprises of three impressive historical buildings with each connected to one another by a series of bridges. The guest rooms here come complete with elegant marble bathrooms, while guests are sure to love dining on the rooftop restaurant so that they can enjoy stunning city views. 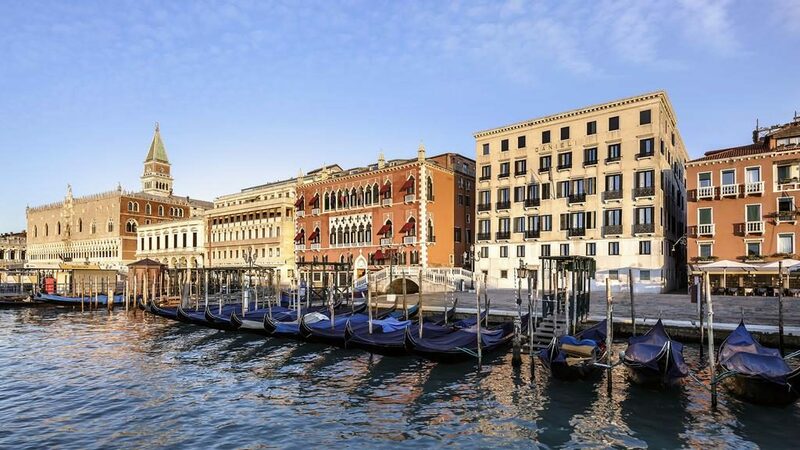 For more luxury hotels in Venice, read our luxury hotel guide.